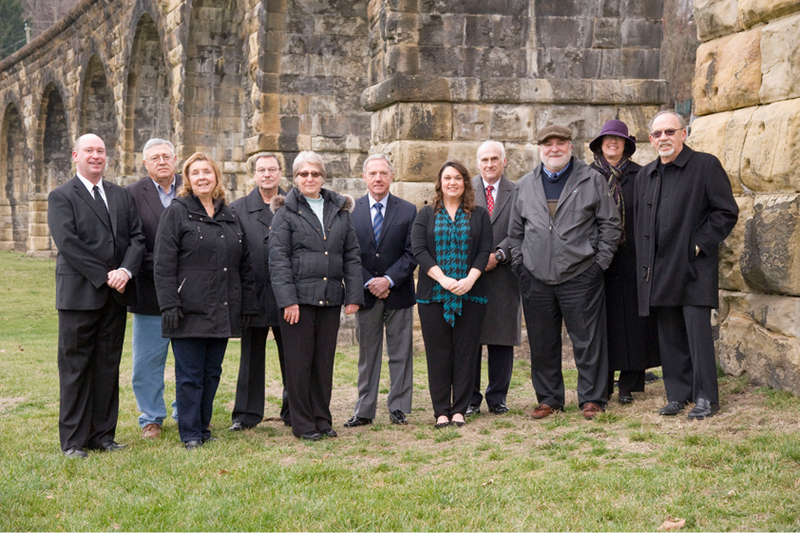 The Great Stone Viaduct Historical Education Society is an Ohio non-profit corporation chartered in 2012 as a qualified tax exempt under section 501(c)3 of the Internal Revenue Code. The goal of the Society is to promote the rich local history of Belmont County Ohio and surrounding areas, and to provide educational opportunities for others to learn and experience that history through a variety of activities sponsored by the Society. The Society has chosen the "Great Stone Viaduct" for its name since this iconic stone arcade bridge structure is associated with our headquarters in Bellaire, Ohio, and the rich railroad history of the community. The Society is governed by a board of trustees consisting of professionals all having in common a deep appreciation of history, and desire to see our built environment protected and preserved for future generations. Believing that one's appreciation of history and desire to protect and preserve comes only from education, the goal of the Society is to design events, projects, and activities that facilitate educational opportunities to learn about that heritage and history. The Winter Lecture Series cosponsored with the Bellaire Public Library during February and March is just one example of this educational outreach. The board of trustees consists of 15 members who have combined their talents and expertise to forge a solid commitment to meet the challenges, yet accomplish the educational and preservation goals of the Society. The trustees bring to the board their professional talents as well as a desire to serve. Each board member has strong ties to community, and a genuine desire to learn more about the places where they live and work, believing that such knowledge will make any community a better place to live and build a business.